Experience the unique opportunity to snorkel up close with our resident population of these amazing creatures. Our prices include a certified PADI Dive Master or Instructor guiding you at the dive and snorkel sites, our spotter plane used to search for the manta rays, refreshments & snacks throughout your tour including tea, coffee, cordial and fresh drinking water. All of your equipment is supplied including wetsuits, mask/snorkel and fins (plus regulator, BCD, weights and tank if you are diving). The half day tour meets at 8:00am and returns around 1:30pm. 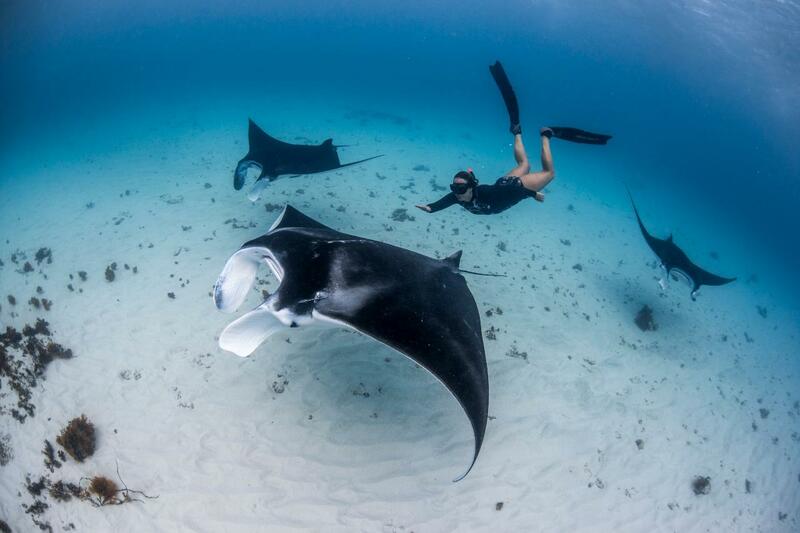 You will have 1 dive or 1 snorkel on the reef, and the chance to snorkel with manta rays.